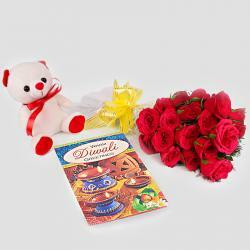 Product Consist : Bouquet of 12 Colorful Roses with Box of Assorted Dryfruits (Weight : 500 Gms) along with 1/2 kg Strawberry cake and Assorted Fire crackers (Worth Rs.300/-) (Note: Types of Fire Cracker are depends upon their availability no specific choice). 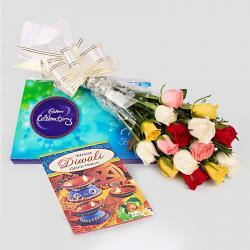 Enjoy and Celebrate the festival of diwali with your boss and gift him this amazing gift pack of varied items. 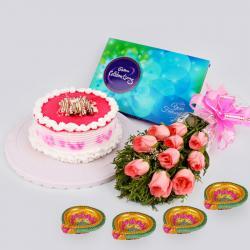 The combo consist round strawberry cake in half kg which is very soft and fresh, a bouquet of dozen mix roses which will express you respect and gratitude you have in your heart for your boss, 500 gms of assorted dry fruits packed in a box with diwali special assorted crackers . 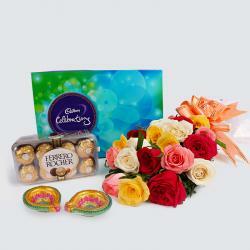 This is the complete package which squires the love, respect and best wishes you wanted to convey. 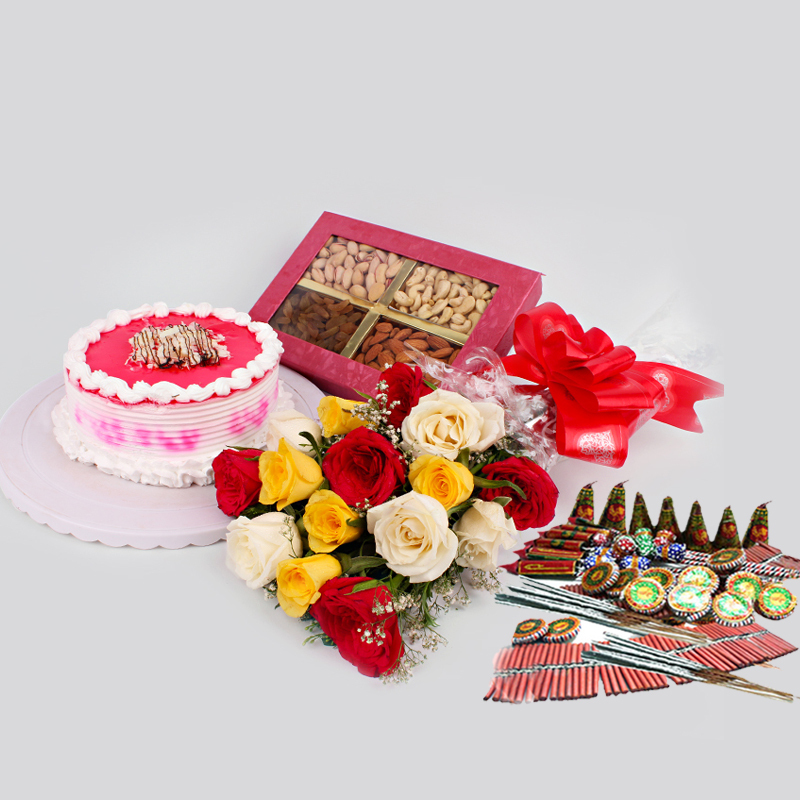 Product Includes : Bouquet of 12 Colorful Roses with Box of Assorted Dryfruits (Weight : 500 Gms) along with 1/2 kg Strawberry cake and Assorted Fire crackers (Worth Rs.300/-) (Note: Types of Fire Cracker are depends upon their availability no specific choice).